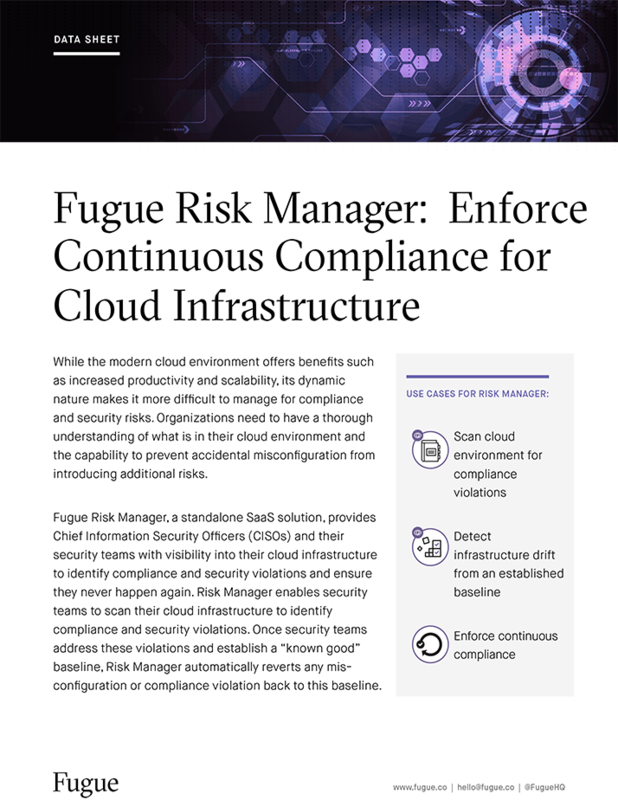 Shell scripts help quickly deploy development environments; but the lack of control leads to faulty assumptions in production. However, well-controlled provisioning for developers can be slow with little to no automation. For organizations focused on control and safety, this is a sensible trade-off; but is it? With Fugue, you don’t have to make that sacrifice. 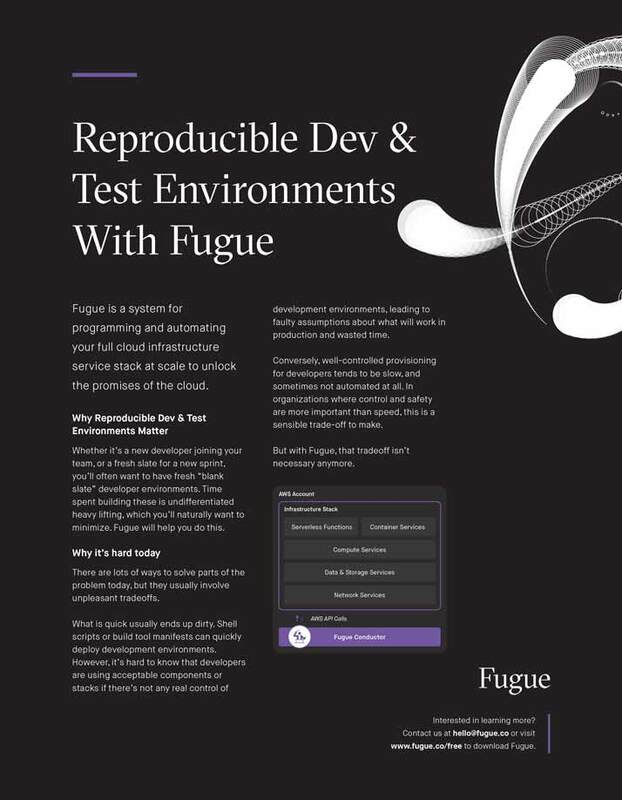 Fugue is a system for programming and automating your full cloud infrastructure at scale so you can spin up and tear down dev and test environments quickly and painlessly. Learn more.